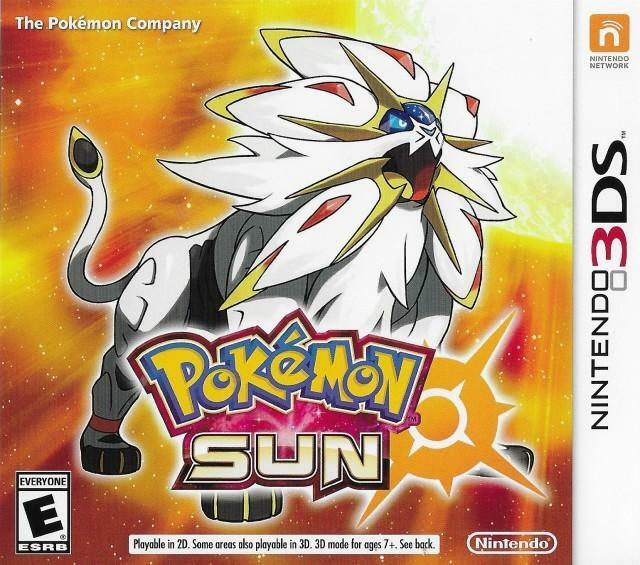 Pokemon Sun and Moon versions are the main pair of games kicking off Generation VII on the Nintendo 3DS. They were initially announced on the 20th Anniversary of Pokemon Red & Green in a Nintendo Direct broadcast on the 26th of Feb, 2016. The games were developed by Game Freak & had been released worldwide by November 23rd, 2016 when Europe got it a week after everyone else. In terms of what's new in Sun & Moon here's what is has to offer: Chinese language added, meaning the games are playable in a total of nine languages. Trainer customisation makes a return as well as 81 new Pokémon and a whole lot of Alola form versions of existing Pokémon. 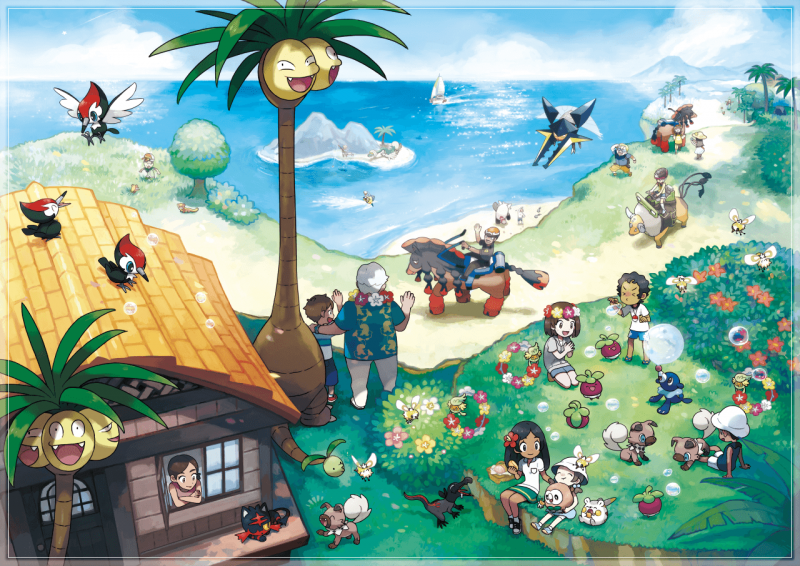 Gym's have been replaced by Island Trial Challenges which must be completed before trainers can take on the Kahuna's of each respective Island's in grand trials. There are also some small graphic improvements. Finally and perhaps most importantly for the older generation of Pokémon players these games are able to recieve data from Pokemon Blue, Red, Green & Yellow via the Pokémon Bank system. 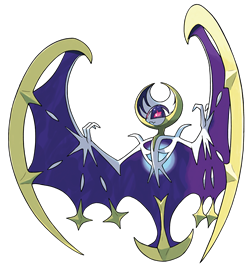 As usual each game is represented by a legendary Pokemon - for Pokémon Sun that's Solagleo and for Pokémon Moon it's Lunala. These mon's can be seen on the Box Art etc for their respective games. Alola Trainer! The story begins with the player taking a video call from Professor Kukui, a while before the player even moves from Kanto. The prof helps create a Trainer Passport for the player before they move to Alola. Whilst all this is going on a young girl is seen running away from workers in a strange place, as they close in on her the mysterious Pokemon hiding in her bag uses its powers to teleport the itself and the girl away just in time. Months pass and the player, their mother and pet Meowth finally move from Kanto to Alola's Melemele Island. On arrival they meet up with Professor Kukui who gives them a pretty warm welcome to Alola and tells them they can actually get a free starter Pokémon from the island Kahuna, yeah? So the trainer headed off to collect their free Pokémon from the kahuna's home in Iki Town but on arrival finds the town square completely empty. It's at this point that Kukui tells the trainer to go and see if the townspeople are gathered at the ruins that honor the island's guardian deity, a Pokémon named Tapu Koko who watches over the Island and it's people. On the way to the ruins the trainer then encounters Lillie and her Pokémon, Nebby who are being attacked by a flock of Spearow... knowing how bad it is to be attacked by Spearow' the trainer, despite having no Pokémon of their own jumped in to protect Nebby from their attacks. Things went from bad to worse when Nebby tried to use one of it's attacks to save itself and the trainer from the Spearow.... taking down the rickety old bridge that had so tenuously held their weight in the process. The trainer and Nebby were plumetting to what looks like a terrible demise when Tapu Koko, the islands guardian diety swoops in and saves them both; leaving the trainer with the additional gift of a mysterious stone. Shortly later the trainer arrives back in Iki town and meets Kahuna Hala who acknowledges the fact that Tapu Koko valued this trainer enough not only to swoop down and save them but also to leave them with the gift of the mysterious stone. This leads Hala to believe that there is something special about this trainer and that they must be here for something important. Hala then lets the trainer choose from three different starter Pokémon as promised. Having recieved their starter Pokémon moments before the trainer is then challenged to a battle with the Kahuna's grandson, Hau and a battle ensues resulting in victory for the trainer and the defeat of Hau. The trainer enjoys the festival briefly until again being challenged by Hau who fancies another go but is again defeated. The trainer then heads down to Professor Kukui's lab and gets given a rare and valuable Rotom Dex which is effectively a Rotom powered extension of the normal Dex which is cutting edge, rare and valuable! On the instruction of professor Kukui both the trainer and Hau head to the island's Pokemon Trainer's School so that they can prepare for the Island Challenges. It's here that the trainer must defeat the schools top four students and then finally the teacher. After the defeat of Teacher Emily the trainer is introduced to Ilima who is the captain of one of the trials. To say much more would be a bit of a spoiler, so we'll call it there! Are you ready to become a Pokémon Trainer? 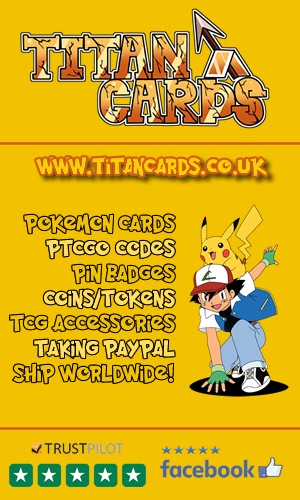 Trade and battle with friends all over the world! Train your Pokémon for battle! Discover Pokémon and fill your Pokédex. Care for your Pokémon and help them grow. Play with/stroke your Pokemon to raise their enjoyment level. Some Pokémon don't like to be stroked in certain places and others have bits that will hurt your hand ie. Torracats bell burns you. Feed your Pokémon Pokébeans to raise their fullness level and affection toward you which can result in improved performance in battle. The more affection a Pokémon has toward you the harder it'll try in battle to earn your praise. You can visit the Care section of Pokemon refresh after a battle to remove status effects, dirt, sand and water or use the Tyranitar Comb to straighten up their fur. An illustration showing many of the items and features involved in Pokémon refresh. Professor Kukui will provide the player with a PokeDex far superior to that of the traditional models. This new model of PokeDex can be enhanced even further by the Rotom he lends you to inhabit the dex and accompany you on your journey reminding you where you're supposed to be going next and providing you with an interactive map on the bottom screen of your 3DS. 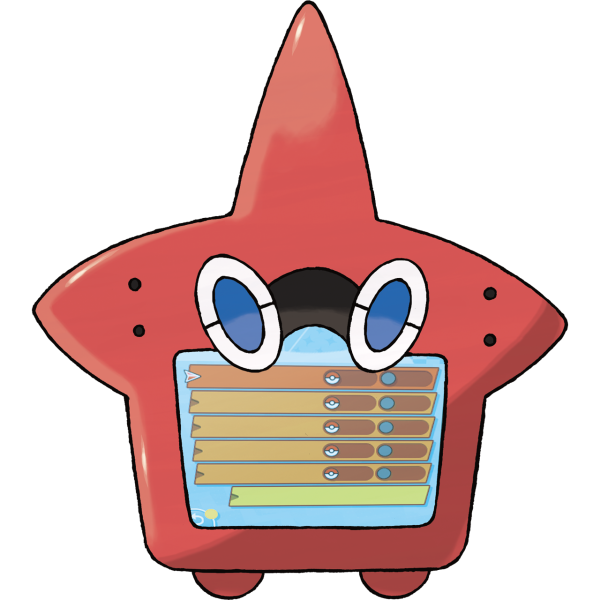 The interface between this PokeDex and Rotom allows Rotom to speak human languages. A new style of battling where four trainers participate in a free for all battle. Each trainer takes three Pokemon with them and any trainer can attack or assist any other trainer in the fight. The battle ends when one trainer has had all of their Pokemon defeated. The winner will be chosen based on who got the most knockouts/did the most damage/how many Pokemon they have left. The QR scanner feature allows players to scan QR codes for Pokemon they've not yet encountered in order to add them to their Pokedex. This feature is also used for obtaining event Pokemon like Magearna. 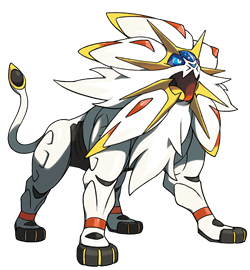 Newly introduced for Sun and Moon these special moves draw on and combine the inner strength of both the Pokemon and the Trainer. Z-Moves require that the trainer has a Z-Ring and also that they have used an appropriate Z-Crystal on their Pokemon to teach it a Z-Move. These moves are much more powerful than standard moves if used correctly but can only be used once per battle. There is a Z-Move for each of the 18 different types of Pokemon and some which can only be used by certain types of Pokemon. The Poké Pelago is a group of small, uninhabited islands in the Alola region. Mohn has always wanted to develop the Islands but he wants your help to do it. 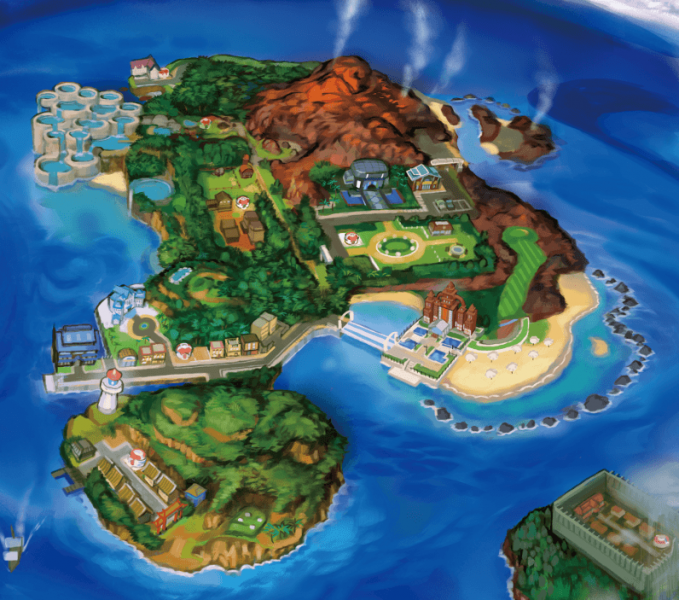 Basically these Islands are for your Pokemon in storage boxes to enjoy with activities like treasure hunting, playing with other Pokemon and generally kicking back. As you develop the Islands you increase the number of Pokémon who can enjoy them. The Poké Pelago also attracts wild Pokemon who will come to eat their fill of your Pokébeans. Participating in activities and playing on the Poké Pelago can even help to raise the stats and level of your Pokemon. You can now signal certain Pokémon using a pager to summon them for a ride. You have to reach certain Milestones within the game to unlock each ride so expect a little jogging to begin with. 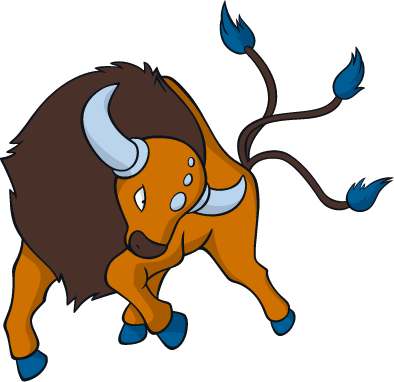 Unlockable Pokérides include Tauros who is able to smash through rocks, Charizard who can fly you where you want to go in a flash, Stoutland whose special ability is to sniff out hidden items and many more. A new feature introduced for level 100 Pokemon is Hyper Training; with the help of an NPC called Mr. Hyper you can increase the IV level of a Pokemon. The total PokeDex you can complete in either version of the game is around 300 (actual figure tbc). The introduction of 81 new Pokemon in Sun and Moon means the total number of discovered Pokemon in the series is now at 802. Each version of the game has 14 of it's own version exclusive Pokemon plus 1 legendary exclusive. In the list below the A next to the PokeDex entry number indicates Alolan form. As usual the starter Pokemon you can choose from comprise of Fire, Grass and Water types. In this instance from left to right we've got Litten the Fire type, Rowlet the grass type, and Poplio the water type. - Litten is a feline pokemon first introduced in Generation VII. 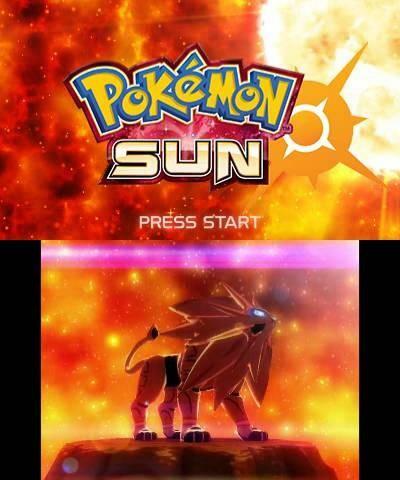 It's evolutions are: Torracat (at level 17) and Incineroar (at level 34). These new starters were all officially (leaks aside) unveiled on the 10th of May, 2016. 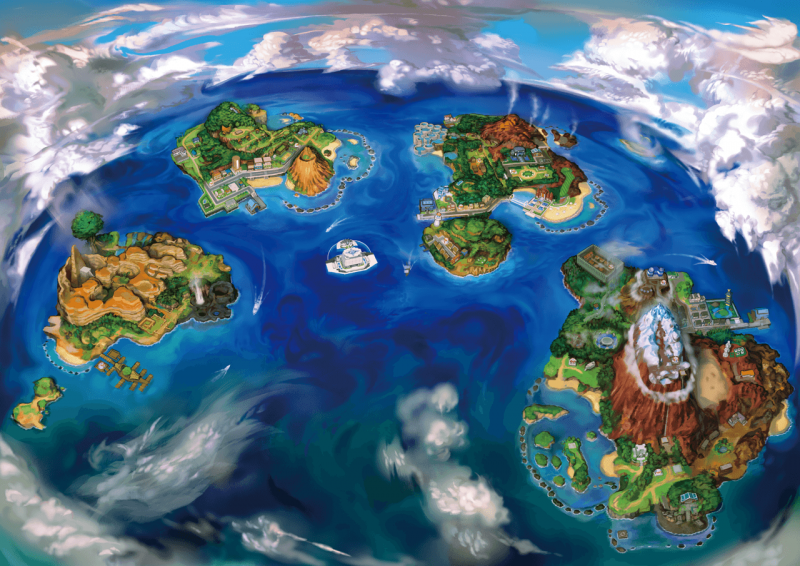 Pokemon Sun & Moon take place in the all new Alola region which comprises of Exeggutor Island, Poni Island, Melemele Island, Akala Island, and Ula'ula Island. 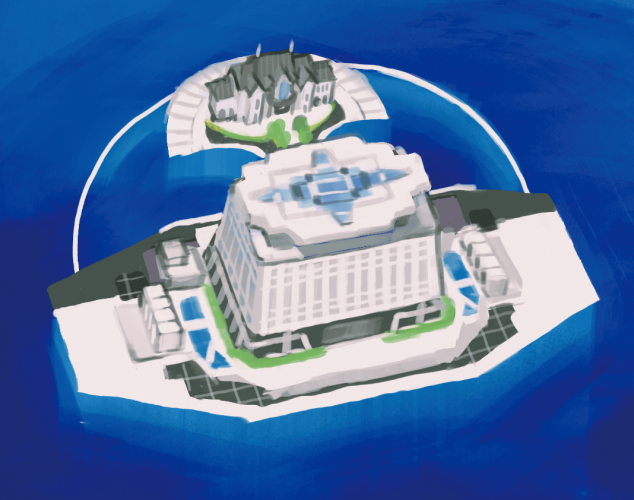 The floating building you can see on the map just beneath Melemele Island called Aether Paradise. The team behind Sun & Moon based a lot of this on Hawaii - where they actually sent a team out to 'research' Hawaii for the games (it's a hard life). Melemele Island, where you just moved from Kanto! It is said that Team Skull was formed of disillusioned young trainers who weren't good enough to beat the Island Trials so they turned to lives of Pokecrime. Their main objective is to cause mischief, steal Pokemon, and to cause inconvenience to those who look like they may succeed at the same challenges they themselves once failed at. "Team Skull was born outta this old group that once formed around one of the old Kahunas. But that whole thing fell apart after they got smacked down by the wrath of the tapu"
Unlike many of the enemy team's we've seen in past games Team Skull don't seem to have any higher purpose then generally to cause mischief. They're literally just thugs with Pokemon and thick skulls. 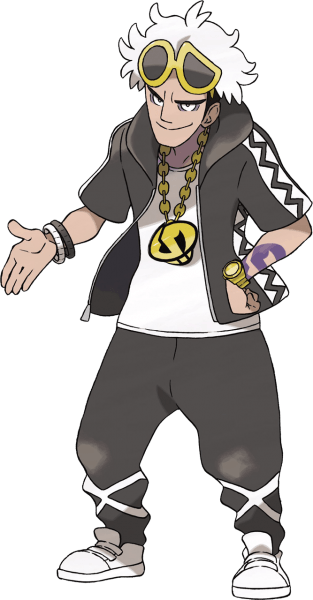 The team Skull hiearchy consists of Guzma who is the main leader and Plumeria the administrator. Gladeon is also a noteable associate of Team Skull, however as pointed out by a couple of their grunts he isn't actually a member he just does jobs for them sometimes. The Team Skull headquarters (aka place they are squatting in) is located at Shady House in Po Town. The house was once home to someone rather wealthy who has since disappeared. Who could it be? what will they do if they come back and find their home has become a criminal gangs headquarters? 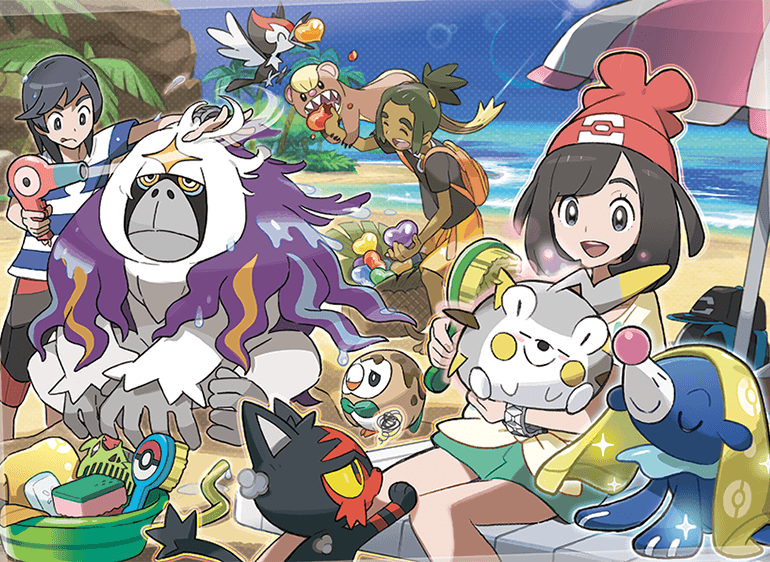 Island trials, Kahuna's and Totem Pokemon essentially replace traditional Gyms and Gym Leaders in Alola. Their are subtle differences such as little puzzles or tasks to complete as part of the Island trials before you take on the Totem Pokemon. A Totem Pokemon is a larger than a standard Pokemon of it's kind and is surrounded by a powerful aura which increases its defencive or offencive capabilities; the Totem Pokemon are not adverse to calling for help either and will regularly call other nearby Pokemon of it's kind to aid it in battle. 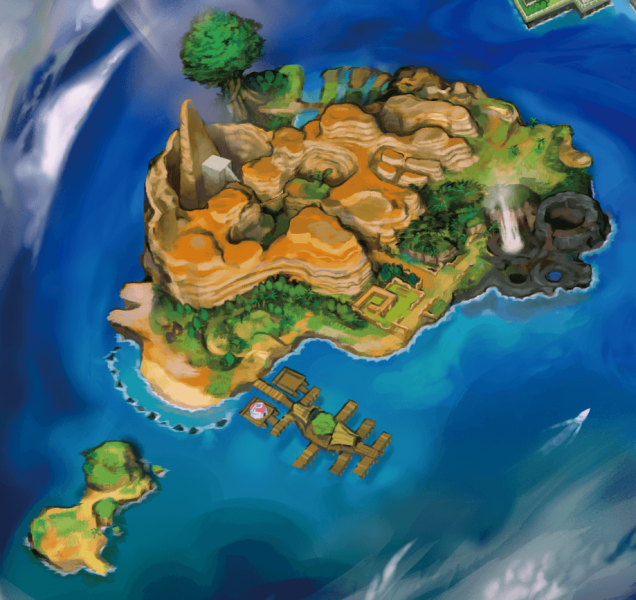 Once the Totem Pokemon are all defeated on an Island you will then face that Islands Kahuna as the 'Grand Challenge'. Once beaten you will be rewarded with a new Z Move and be able to progress through the story and on to your next challenges. 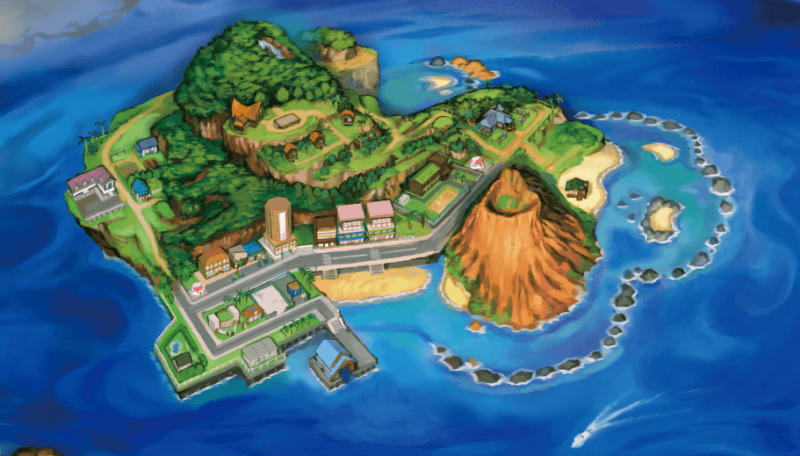 The aim of these trials is to travel across all four of the Islands of Alola and complete the Island Challenges to become the champion of the Island challenge. By the time you've beaten all of the trials and grand trials the Alola region has to offer Professor Kukui will have finished founding the first ever Alolan Pokemon League. The League is based out of Mount Lanakila which is the highest point in the Alolan Islands; the reason for this position is to pay homage to the legendary Pokemon of Alola as it's the closest accessible point to the Sun and Moon. The Elite Four of Alola are a little more equal than the Elite Four of some other regions in the sense that there isn't a forced order you have to face them in. The challenger can choose who they fight in what order. 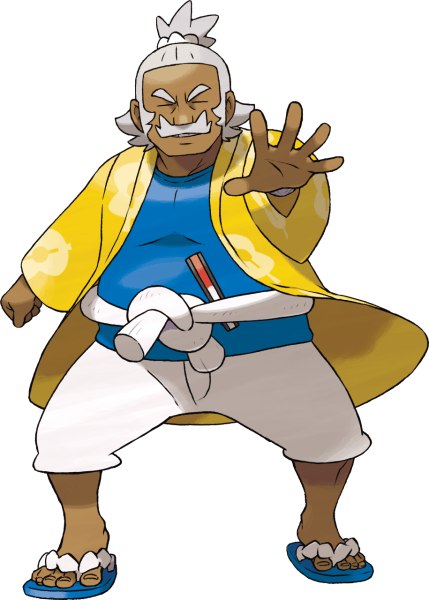 Hala is a master of fighting type Pokemon and the Kahuna of Melemele Island. 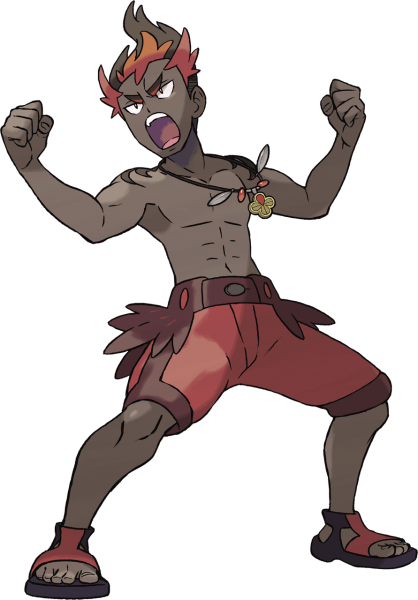 He was invited to become a member of Alola's Elite Four by Professor Kukui who acknowledges his formidable strength. His team consists of a Hariyama Lvl. 54, Primeape Lvl. 54, Bewear Lvl. 54, Poliwrath Lvl. 54 and a Crabominable Lvl. 55. His Crabominable holds a Fightinium-Z. "Oh ho ho! So it's me who faced you first. Defeating the Elite Four will become a fine part of our island challenge!" Olivia is the Kahuna of Akala Island and a well respected and powerful user of Rock-type Pokemon. This is why Professor Kukui invited her to join the Elite Four. Her team includes a Relicanth Lvl. 54, Carbink Lvl. 54, Golem Lvl. 54, Probopass Lvl. 54 and Lycanroc Lvl.55. Her Lycanroc holds a Rockium Z. 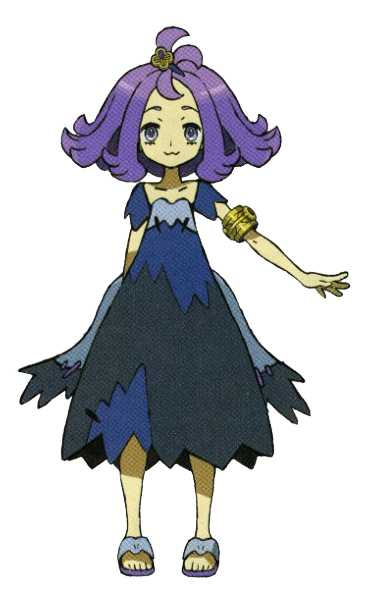 Although not a Kahuna herself Acerola not only completed the Island Challenge but also took on the role of Captain. 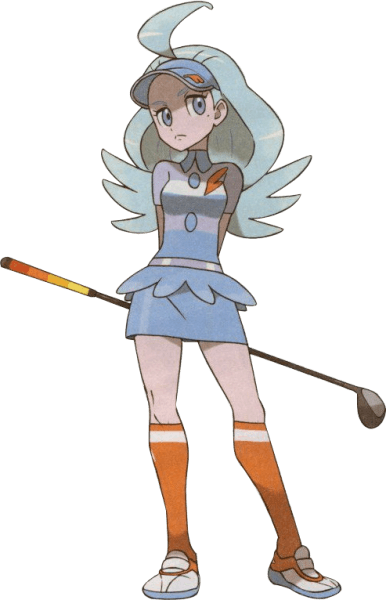 Her rare and powerful ability to command the ghost-type is the reason Professor Kukui invited her to the Elite Four. Her team consists of a Sableeye Lvl. 54, Drifblim Lvl. 54, Dhelmise Lvl. 54, Froslass Lvl. 54 and a Palossand Lvl. 55. This time it's the Palossand holding the Ghostium Z.
Famed as much for her prowess on the golf course as her skills in Pokemon battles Kahili completed the trials of Alola long ago and has since travelled the world training her Pokemon and golfing. She was very excited at the invite from Kukui to represent Alola as part of it's Elite Four. Kahili is a master of flying type Pokemon. Her team includes a Skarmory Lvl. 54, Crobat Lvl. 54, Oricorio Lvl. 54, Mandibuzz Lvl. 54 and Toucannon Lvl. 55. Her Toucannon holds the Flynium-Z. "My name is Kahili. A few years ago, I was a champion of the island challenge, too. Just like you. I've been traveling the world to improve my skill as both a Trainer and as a golfer. When I heard that they'd made a Pokémon League in my own home region, I came flying back to serve Alola. Have a look at my fantastic Flying-type team!" On defeating the Elite Four the player will approach the champions throne and briefly take a seat before being promptly disturbed by Professor Kukui who will congratulate them for beating the Elite Four but break the news to them that theres one more battle before they can truly be called champion. Is he the Champion? is he the fifth member of the Elite Four? doesn't that make it the Elite Five? is he just filling in because theres not a Champion yet? Who knows but he's in the way and will challenge the player with his formidible team. His team consists of a Lycanroc Lvl. 57, Ninetales Lvl. 56, Braviary Lvl. 56, Magnezone Lvl. 56, Snorlax Lvl. 56 and the fully evolved starter form of whichever type was strongest against your own starter (it's this last one which will hold it's types relevant Z-Crystal). These titles can be played in multiplayer using either Nintendo 3DS wireless feature for local play, Nintendo Network ID for online play or infra red for local play. A fan made TV commercial by John Wilkstrom, a must watch... it's better than the official ones. An official trailer, celebrating 20 years. - No bicycles! there are no bicycles in Sun & Moon. For the first time in the main RPG games. - Shows the first ever instance of NPCs using Pokeballs other than the basic ones. - Sophocles wears a T-Shirt which depicts classic Pokemon trading with a Game Boy and a link cable. - Ash-Greninja was added to the Pokemon Sun & Moon demo versions to try and attract fans of the animated series to buy the games (as it is pretty popular amongst the anime audience). The Greninja could be ported to the main game from the demo. - It is said that Z-Moves were intended to allow trainers to use a wider variety of Pokemon rather than just relying on a few super strong ones all the way through the game as the use of these moves can make any Pokemon stronger and more viable for battle. 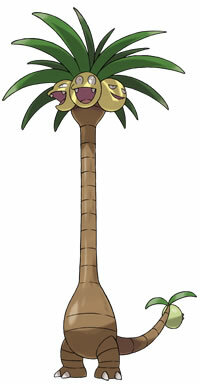 - It could be that Exeggcute and Exeggutor originate from the Alola region; not only is one of the islands named after Exeggutor but it states in the Ruby, Sapphire & Emerald PokeDex that Exeggutor originates from a tropical setting and this is the first one we've seen in the games. In the Exxeggutor PokeDex entry in Crystal it also mentions that in the right environment it can grow more heads - the Alolan form Exeggcutor is a good example of this. 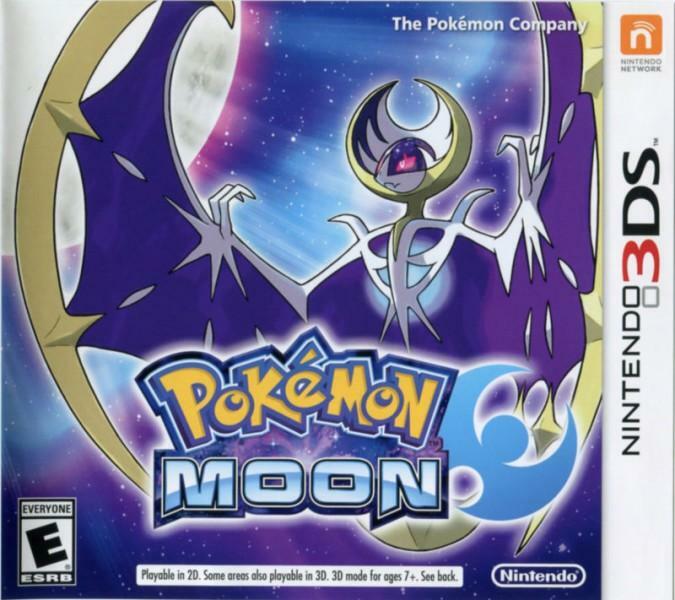 Sales for Pokemon Sun & Moon versions have been extremely strong, in the U.S alone moving 4.5 million units between November release and January; making it the fastest selling Nintendo game in history (source), and alongside popular titles like Super Mario Maker and Mario Kart 7 bolstering the longevity and success of the Nintendo 3DS. As of 18/05/2017 the titles have been purchased over 15.5 million times worldwide. - IGN's Kallie Plagge was clearly impressed scoring the game 9/10 and rating it Amazing. "Pokemon Sun and Moon switch up the formula to create an engaging adventure that improves on its predecessors." - Additionally the games are also nominated for IGN's game of 2016. - Justin Haywald from GameSpot scored the game a strong 8 out of 10. - Our own DetroitDJ was a little more critical scoring the game a 3 out of 5 and rating it Fair.